Lava launched two new budget handsets for the Indian market. The two new handsets Iris 348 and Iris 349 are listed on the official website. Both the handsets are likely to be announced very soon officially. There are no exact availability details revealed by the company. 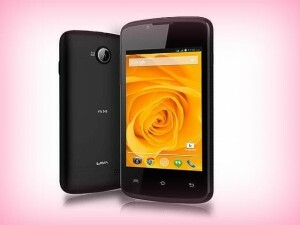 New Delhi: Both the new handsets Iris 348 and 349 come with similar specifications. They come with 3.5 inch display and the resolution is 320 x 480 pixels. it is powered by 1 GHz single core processor. The processor is paired with 256 MB RAM and is provided with 512 MB RAM. Memory can be expanded up to 32 GB via micro SD. The handsets come equipped with 2 megapixel primary camera and there is also VGA front facing camera. Iris 348 runs on Android 4.4 Kitkat operating system. It comes packed with 1100 mAh battery that gives 8 hours talk time. Body dimensions are 116 x 61.6 x 11.3 mm. Iris 349 runs on Android 2.3 Gingerbread operating system and has 1300 mAh battery that claims to give 11 hours talk time. It measures 117 x 61.6 x 11.6 mm. Iris 348 is priced Rs. 3,099 and Iris 349 is priced Rs. 2,999. This entry was posted in Launches, Tech on May 22, 2015 by Rakesh.